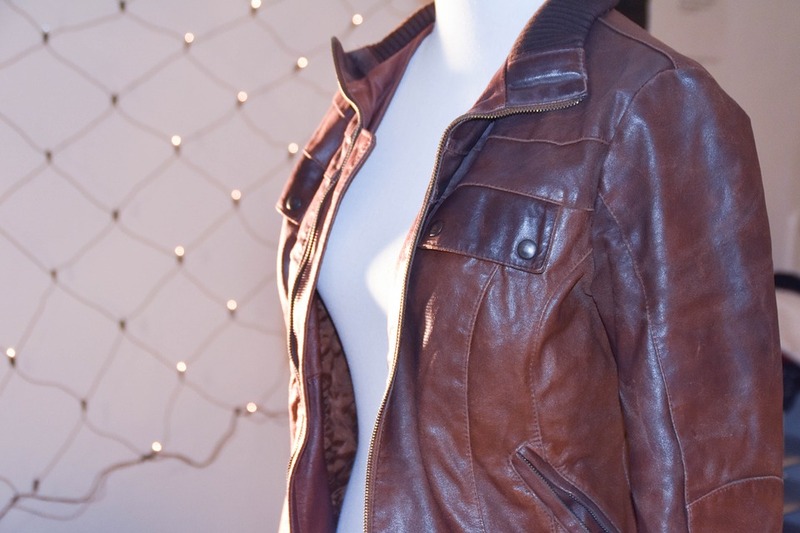 A leather jacket is a versatile form of outerwear that you can wear year-round. From winter and spring to fall and winter, the unique characteristics of genuine leather make this garment perfect for all seasons. Of course, this is one of the reasons why so many people prefer leather jackets over other forms of outerwear. But if you’re planning to sport a leather jacket during the warmer months, you may want to roll up your sleeves. As the temperatures begin to warm, the semi-thick nature of leather may compel you to roll up your sleeves. While rolling up your sleeves should be easy, though, many people struggle to keep their sleeves rolled up. The good news is that there are a few steps you can take to keep your leather jacket sleeves rolled up at all times, including the following. Start by rolling up your sleeves past your elbows. In other words, don’t just roll up your leather jacket sleeves to the middle of your forearm. Instead, roll them slightly past your elbow. Once here, your elbow should prevent them from falling down, all while providing you with a cooler and more comfortable fit during the hot summer months. When given the option between wearing a thick leather jacket or a thin leather jacket, choose the former. Not all leather jackets feature the same construction. Some are made with thicker leather than others, and wearing a thick leather jacket will reduce the risk of your sleeves rolling up. With its thick construction, you can roll your sleeves up without worrying about them falling down. Although they cost less than genuine leather jackets, you should avoid wearing a faux leather jacket for several reasons. First, they don’t offer the same soft and suppler texture as genuine leather jackets. Second, they are more likely to succumb to damage, especially when exposed to moisture or humidity. Third, the plastic-like material in which faux leather jackets are coated makes it difficult to keep the sleeves rolled up. Even if you’re able to roll up the sleeves on a faux leather jacket, they probably won’t stay this way. To keep your sleeves rolled up, you should wear a 100% genuine leather jacket. Genuine leather jackets cost more than faux leather jackets, but it’s a smart investment that will pay off in the long run. In addition to genuine leather, consider wearing a leather jacket with zippers on the cuffs. It’s not uncommon for leather jackets to feature a small zipper on each sleeve cuff. The purpose of these two zippers to create a snug fit around your wrists so that the sleeves don’t blow or ride up. Zippers are typically included in leather motorcycle jackets for this reason. But wearing a leather jacket with zippers on the cuff is also useful for keeping your sleeves rolled up. With zippers on the cuffs, you can roll up your sleeves and then “zip” them in place, thus securing them right above your elbows. There are more than a half-dozen ways to roll up your leather jacket sleeves, though none are more effective than the basic roll. Also known as the beginner roll, the basic roll involves folding the cuff — about 2 or 3 inches of the end of the sleeves — up and then refolding it a second time or third time until it extends past your elbows. Once you’ve rolled up your sleeves past your elbows, smooth out any excess fabric and you’re good to go! Not only is the basic roll effective at securing your sleeves in place; it’s super easy to perform. Once you get the hang of it, you should be able to perform the basic roll in just one or two minutes. You’ll have an easier time keeping your sleeves of your leather jacket rolled up if you wear an undershirt with it. How does an undershirt help exactly? With an undershirt, there’s more padding between the jacket and your body. The undershirt will essentially fill the empty space here, allowing your leather jacket to fit tighter. And as your leather jacket fits tighter, the sleeves are less likely to fall down. Of course, it’s important to choose the right type of undershirt to wear with a leather jacket. Cotton undershirts are popular because of their inexpensive price, soft texture and overall versatility. But you need to wear the right color. Don’t choose an undershirt in the same color as your leather jacket. Instead, choose an undershirt in a color that contrasts with the color of your jacket. White undershirts work well in most cases because white contrasts with common colors in which leather jackets are made, including black and brown. But you can wear undershirts in countless other colors, assuming they contrast with the color of your leather jacket. 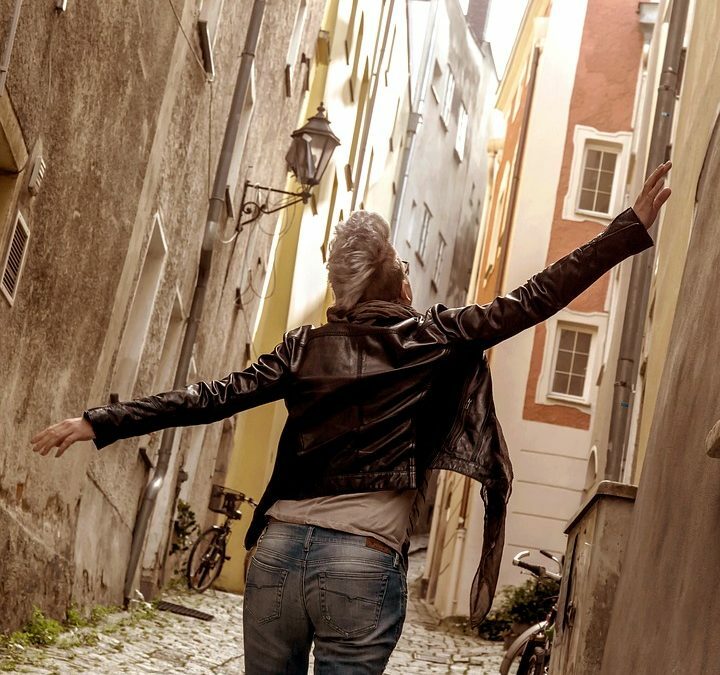 If you can’t seem to keep the sleeves of your leather jacket from falling down, try to limit your arm movements. The more you move your arms, the greater the risk of your sleeves falling down. You can still move your arms while wearing a leather jacket, but you should be conscious of how much physical activity you perform in it. If you’re planning to work outside for multiple consecutive hours, for example, you may want to wear a different jacket. An alternative solution to rolling up your leather jacket sleeves is to wear a short-sleeved leather shirt. A short-sleeved leather shirt will offer the same benefits of a leather jacket — but without the sleeves, of course. You can even find leather shirts available in the same genuine, high-quality leather used in the construction of leather jackets. In fact, some leather shirts, including those offered here at LeatherCult, are made of Nappa leather, which is considered to be one of the highest-quality types of leather on the market.